This combination debuted in the imagination of the drummer a while ago, the time has now come for them to undergo a reality check. What an exciting opportunity ! From hip-hop producing (Loose Change) to pumping bass heavy reggae (The Strides, Pat Powell) and concert jazz ranging from the most arranged and delicate to raucous and free flowing (Mike Nock, 3ofmillions, Kris Wanders). These 3 are capable of taking the music many places. Peter Farrar on Alto Saxophone. Rory Brown at the Double Bass. 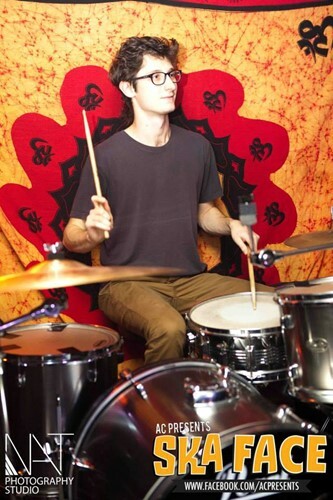 Finn Ryan with Drums and percussion. One thing for sure is that there is as much soul is as you're likely to find in this city. Bandleader, composer, instrumentalist. From the start of her musical studies at age 3 in classical violin, Brianne has since been involved with the folk music scene in Australia, contemporary and improvised music, and free jazz, experimental, noise music. She completed her Bachelor of Music in Jazz/Contemporary performance in 2009 through the Australian National University, and the Australian Institute of Music as a scholarship holder. She has been touring nationally with her band Takadimi for the last 5 years. 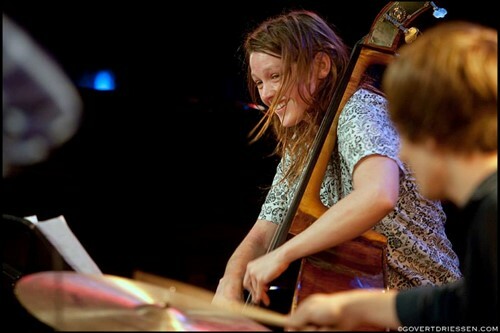 Currently studying at the Sydney conservatorium, Mary Rapp has been a music student for six years, at three different institutions, studying cello, double bass, jazz, classical and composition. She has had the privilege of working professionally with musicians such as Tony Gorman, Aaron Flower, Bobby Singh, Alister Spence, James Greening, The Whitlams and Wolf Mother. Clayton Thomas has been a prolific member of the international community of improvisers for the last decade. He is the founder of the NOW now festival and the Splinter Orchestra in Sydney. 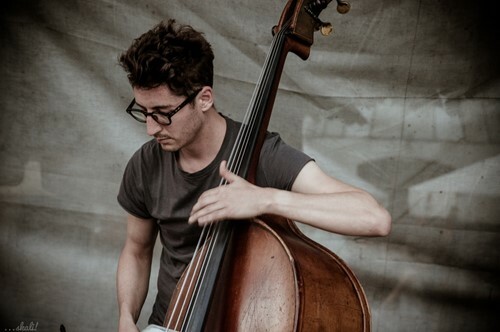 Based in Europe for the past 7 years, he has performed with many of the world’s most consistently creative musicians; spanning the spectrum of contemporary music - from free jazz to new composition. A bunch of spritely spirited sound-weavers, bringing to the genre table a new music formed through collective improvisation. Inspired by life, the universe and everything, expect the unexpected and more from the musical expertise of this fresh trio.